Here we are, mid way through summer 2011 which only can mean one thing, it is time to start prepping for fall 2011. Fall is truly one of my favorite times of the year, finding out what the look is, where to find it, and of course all the shopping. 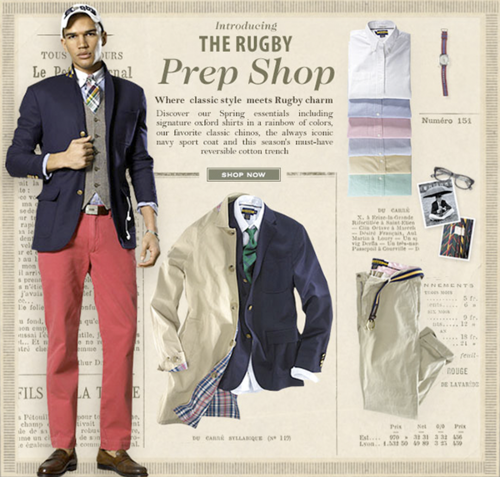 Prep, has been a long lasting fall tradition, that to so many, time and time again, have created and recreated the Idea of the prep look. What is it about fall and the prep lifestyle we tend to admire so much? Maybe the idea of knowledge, or seeing your collegiate friends again, or a childhood story that is coming to a grand end. One of the other major fall traditions is of course back to school. As bummed as we may be that summer is just around the corner of coming to a close, and the idea of going back to the books is maybe the reason why we try so hard to over achieve with the looks, so much more fun, do you find? Well, now that we are on the topic of books, summer 2011 films where definitely one for them, and of course a milestone ending of a 10 year saga that originated as book. It’s hard to believe that Harry Potter, our beloved academic supper hero, is finally over. After years of Hogwarts and Patronum charms, we are at the grand finale of an era so embodied in our childhood that it may be a little difficult to finally accept the fact that its all over. To most, the story was an adventure, and to most Fashionistas, it was a classic look given an adventures twist. Looking the part may not be as costume based as many would think. Fall tweeds, plaids, and stripes adorned with collegiate crests of knowledge seeking euphoria, has made for timeless fashion moments, and it seems that the last visit to Hogwarts school is thrusting us forward to prep our way through fall 2011. Rugby Ralph Lauren, in True Lauren form, is guiding our way back to school with a smart look, and maybe just a little magic attached. Pre-fall has finally fallen on Rugby RL, the tweeds and plaids are back. Whether it be Hogwarts or Harvard, Rugby most definitely will be our source for all things prep this fall. To make matters more exciting, the Rugby Style blog will feature bloggers and stylists picking and choosing the pieces to help us look our best on the paths leading to our dormitories. The summer is almost at a close, and it’s the end of an era for a childhood hero that with out a doubt is reinforcing our fall look one last time, and Prepping us for the adventures to come.